From the smartwatches in our wrists to the vehicles we use for transportation, many modern electronic gadgets and gizmos are battery-powered. Some are even dependent on renewable energy sources like solar energy. In such devices, there is always an inherent energy crisis and so saving energy is a must in such designs for prolonged usage. At present there is hardly any microcontroller in the market that does not come equipped with energy-saving schemes or low power modes of operation. MSP430s were mainly designed for battery-backed instruments and it is no surprise that they come loaded with the some of the best possible energy-saving mechanisms. Of these six modes, three modes are mostly used – Active Mode (AM), LPM0 and LPM3. In Active Mode, the typical self-consumption of a MSP430 device is roughly about 300µA with nothing connected to it. In LPM0 the self-consumption is about a third of active mode while in LPM3, this consumption is just about 1µA. 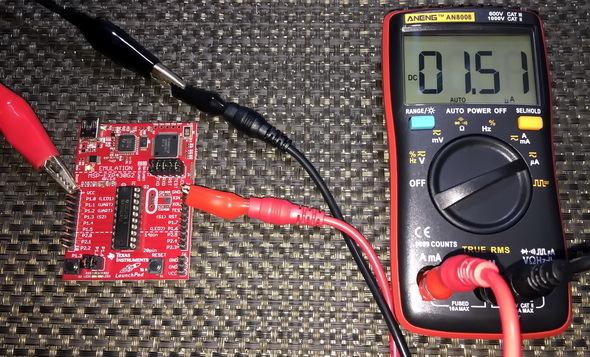 These figures tell us how much energy efficient MSP430s are. Entering and exiting LPM is easy in terms of coding. However, the most common question that coders face with LPMs is how to get back to active mode or some other low power mode from a given low power mode. Well, it is pretty simple and it is accomplished with interrupts. It is up to coders to decide how to manage interrupts, clock sources and what do to after waking up from a LPM condition. 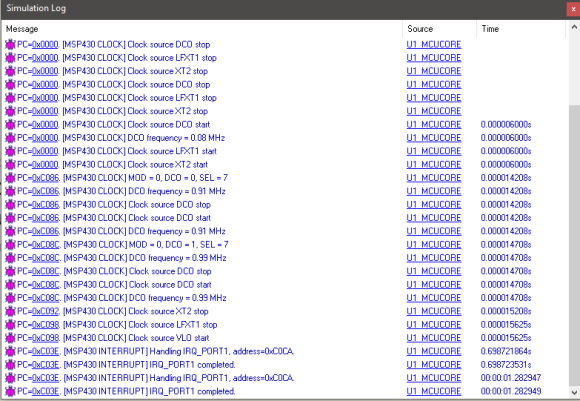 Note that in LPMs, the CPU is disabled and so any task that requires CPU’s intervention is stalled. Since the CPU and some clocks are halted in LPMs, don’t even think that the tasks depending on them will be magically done. For instance, if a code has entered LPM3 and a timer is being driven with SMCLK, we should not expect it to tick because in LPM3, SMCLK is turned off. Organizing the code in a decent and well-planned manner is the secret behind successfully implementing LPMs. * apply new RSELx values. Finally, apply new DCOx and MODx bit values. The simulation log of Proteus shown below shows when the internal oscillators started and stopped. These indicate LPM and AM states. This is a pretty straight example. The code here works by first flashing the Launchpad board’s red LED for some time. 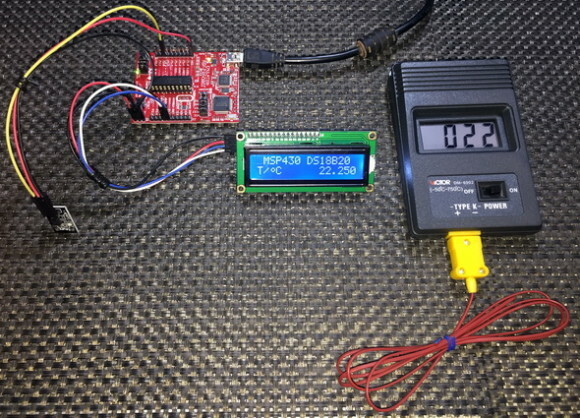 During this time the MSP430 is running in active mode. After the flashing is over, the MP430 micro enters LPM2 state. Note that in LPM2 state all except the DC generator and ACLK are turned off. At this stage to wake up and exit LPM2, an interrupt is needed. Here this interrupt is generated by the external interrupt caused by pressing the Launchpad board’s user button. In the interrupt service routine (ISR), LPM2 is left and is indicated by a brief flash from the Launchpad board’s green LED. After executing the ISR, the code returns to main function and the process repeats again. Note that for LPMs, there is no segment in Grace and LPM code definitions can be found in device’s header files. In some applications, there are some very important data that we wish to retain in our target device even when it is powered down. For such purposes we need a nonvolatile memory. Like many modern micros of today’s market, MSP430s do not contain any separate EEPROM memory or battery-backed nonvolatile memory. For storing data like calibration data, settings, etc. 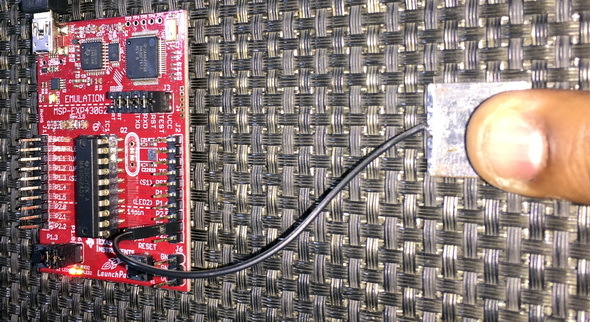 that we would have saved in EEPROM memories, we can use the internal flash memory of our MSP430 devices. Though it may sound difficult and challenging, it is not so. However, we need to be very careful about storage locations as such that we don’t accidentally use locations where application codes reside. Shown below is a flash memory map example of a MSP430G2xxx device. Note that there are four segments labelled A through D. These are the locations that we will be using for data storage and are called information memory. The rest is code space. We can also use the code space too but the code space has 512-byte segment size compared to 64-byte segment size of information memory. Now why is it so important to use information memory space instead of code memory? This is because of its small segment size. 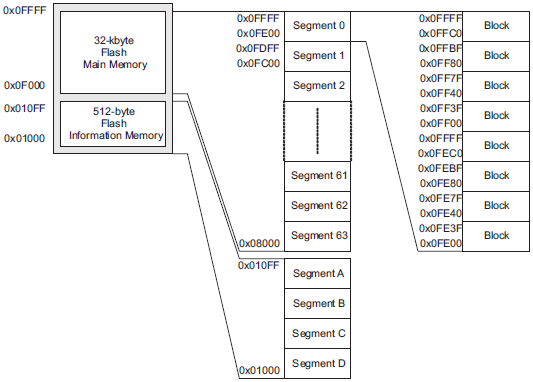 During memory erase, we have to erase a full segment. Bit, byte and word level read-write operations can be done easily but erasing is not possible at these levels. Two separate segments can be used to emulate low level erase. When such mechanism is applied. One segment acts like a buffer while the other is used for actual storage. Wear-leveling may optionally be applied. However, these processes add delays and extra cosing. Segment A is a very important segment as it stores important internal calibration data like DCO frequency variables, etc. Thus, it is protected and locked separately. It will be wise to leave it and use the other three segments of information memory space to store data. // apply new RSELx values. Finally, apply new DCOx and MODx bit values. 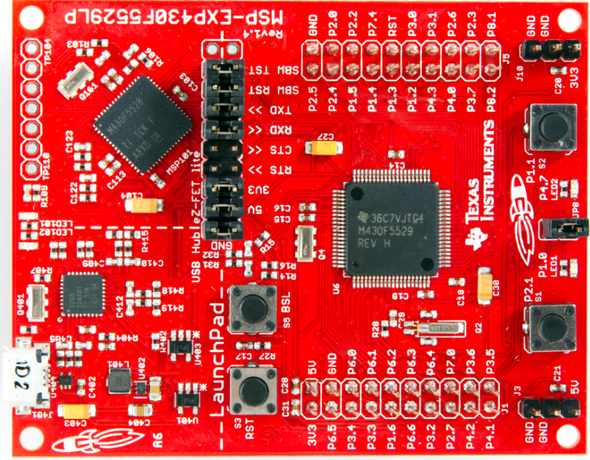 The flash memory module of MSP430s has an integrated controller that controls programming and erase operations. The controller has four registers, a timing generator, and a voltage generator to supply program and erase voltages. To write a byte, we need two things – memory location and the value we wish to write. This memory location is that piece of memory space where we wish to store the value. Firstly, the address of the memory location where data is to be stored is pointed out. Flash write process starts by setting the write bit, followed by removing the flash protection. Once these are done, all interrupts are temporarily disabled to avoid any accidental write or illegal operation. The value to be written is then pointed. Until the value is successfully written all other processes are halted. Once the value to be stored is successfully written, interrupts are enabled, the write bit is cleared and the flash lock is applied. Reading the flash is simpler. We just have to point the location we wish to read. The process for erasing is similar to write processes. The only difference is Erase bit instead of Write bit. The same read-write processes can also be applied to read/write word-level values. The code demoed her works by reading the last data stored in the target flash location (0x1000) and incrementing a variable named value. Only this location is read and updated when the Launchpad board’s button is pressed. Time-bases and delays can be generated in many different ways, ranging from software techniques to using a dedicated hardware timer. Between software-based methods and hardware-based ones, the latter is more efficient and effective. This is because software-based methods rely on wasteful CPU-intensive loops and other resource-consuming processes. Hardware approaches for generating time-bases and delays are smart choices because the prime job of a timer is to count ticks or measure time. Yet within hardware-based methods, there are several techniques and tricks. We can choose between polling a free running timer or using interrupts to get things done in a more real-time sense. We have seen previously that we can use timer interrupts to time events. Here we will also see the same but this time compare-match interrupt is used instead of timer interrupt. Timer0_A3 is set here for compare-match interval mode. 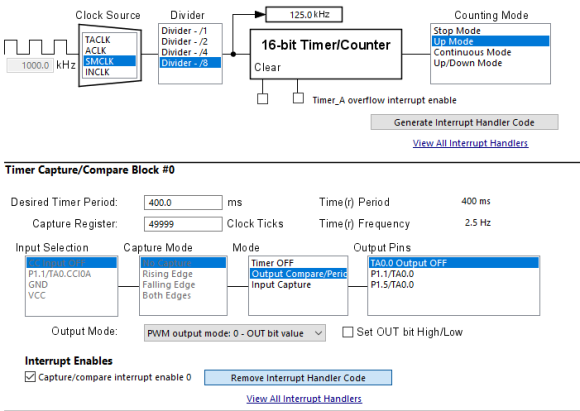 In this mode, Timer0_A3’s settings are same as we would do for ordinary timer overflow interrupt. However, the key difference is the interrupt source. 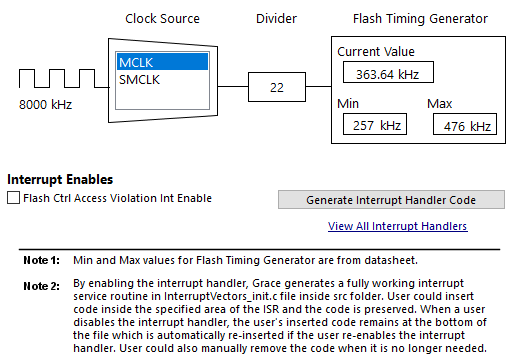 Note that in the diagram below timer overflow interrupt is not being used. Timer capture-compare interrupt is used instead. The desire time period is set for 400ms or 2.5Hz. At every 400ms interval, a compare-match interrupt will occur. How this is done? Well the timer is set for up counting and it has an input clock of 125kHz – 1MHz SMCLK prescaled by 8. Inside the interrupt function, the LEDs of Launchpad board are toggled. Note that after the occurrence of the interrupt LPM0 is exited. In the main, there is no task and in it LPM0 is entered. Thus, the process is independent of the main and is energy efficient. One Wire (OW) or single wire communication is different from other more common and conventional communication platforms like SPI or I2C in terms of data exchange behavior. OW communication is also not very much popular compared to SPI, UART (RS232), I2C, RS485, etc. From device to device, the way of exchanging data varies but what’s common is the fact that all devices that use this communication method use a sort of time-slotting mechanism. Ones and zeros are defined by high pulse time over a fixed period. This trick is widely used in infrared remote controllers. One major advantage of OW communication is the fact that no special or dedicated hardware block is needed to implement it. All that is typically needed is a digital I/O pin. A timer can be used for tracking time-slots but it is optional. External interrupts can also be optionally used alongside the timer. 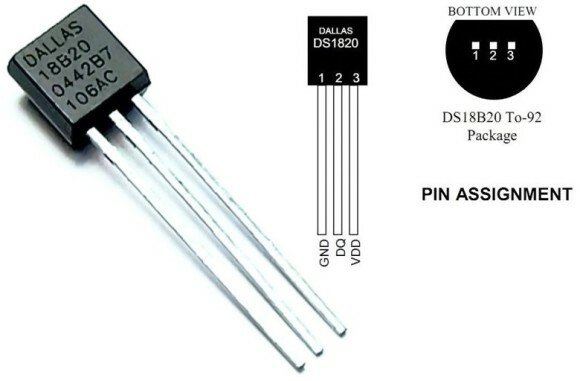 DS18B20 one wire digital temperature sensor from Dallas semiconductor uses this communication protocol. These notes are all that are needed for implementing the one wire communication interface for DS18B20. Please go through these notes for details. The codes are self-explanatory and are implemented from the code examples in these app notes. Like DS18B20, DHT22 (a.k.a AM2302) digital relative humidity-temperature or hygrometer sensor uses time-slotting principle over one wire to transfer data to its host controller. Apart from other technical specs, these sensors differ in terms of time-slots and in the process of data exchanging and communication bus arbitration. Since data is transferred digitally over one wire, there is no need for such sensors to be present on board and close to the host MCU. Thus, such sensors can be placed significantly far from the host micro. This is not so easily possible with analog sensors or with sensors using multiple wires. This feature is what makes OW communication method an impressive one. Unlike I2C, SPI, UART and other communication methods, one wire communication has no fixed communication standard. A perfect example is the difference between the way of communicating with DHT22 and DS18B20. Although they appear to share a similar methodology but the communication protocols are different. Shown above is the timing diagram of DHT22. If you compare the timings for ones and zeroes in both devices you’ll notice that these timings are way different. Same goes for the data, command and control processes. 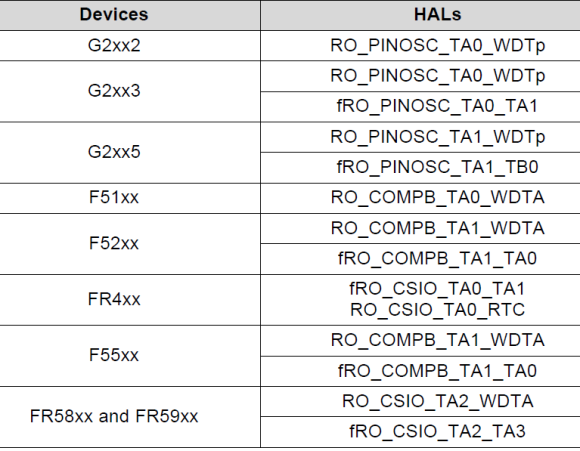 Here again the datasheet of DHT22 is used to create the library for DHT22 and the process is just manipulation of a single GPIO pin. Software UART is seldom needed but it comes really useful in absence of hardware UART. In some cases, we may not have the luxury of using hardware UART. Hardware UART block may also be absent. We already know that USCI module can be used for implementing hardware UART but this block is not present in chips like MSP430G2452. In such devices, we have to use software-generated UART. 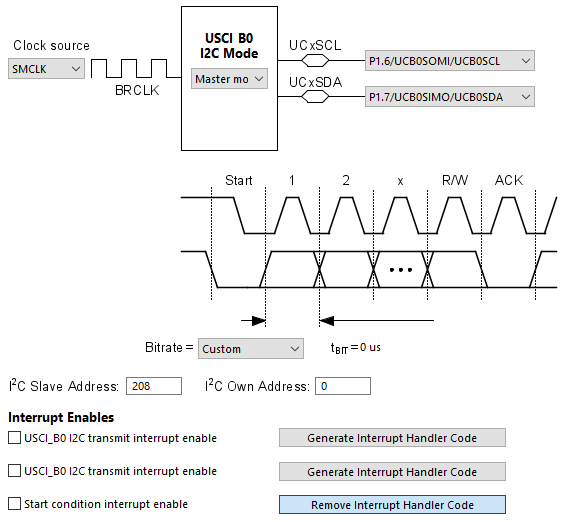 Software UART uses ordinary digital I/Os and delays. Both additionally and optionally external interrupts and timers can be used for better results. Owing to its hardware independency and simplicity, it is very robust. However extra coding and therefore extra memory spaces are needed. Software UART is created with digital I/Os. Thus, the very first task we need to do is to initialize these pins. 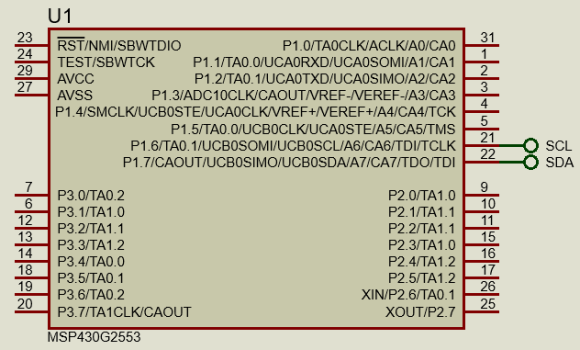 The SW_UART header file states which pins and ports are used. So, you only need to set these first. All of my codes are modular and so once you set these properly the functions and the definitions associated take care of other tasks. This, in turn, makes the codes easily to use and ready for quick modifications/deployments. 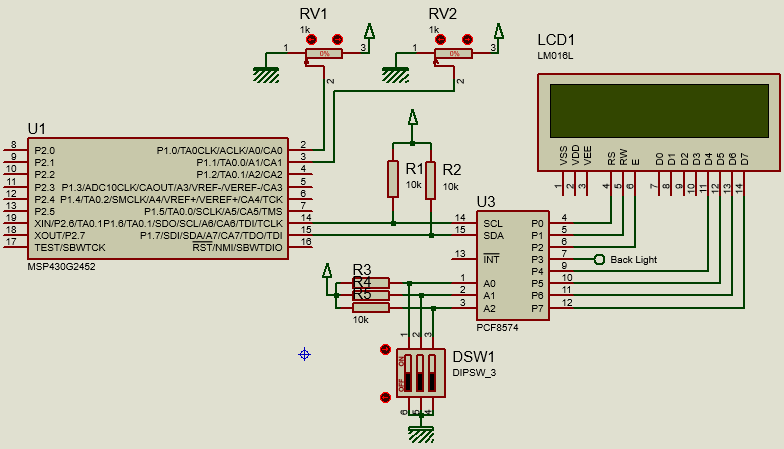 Once the pins are set as per requirement, it is needed to initialize them for software UART functionality. Based on the baud rate further timing infos are calculated. 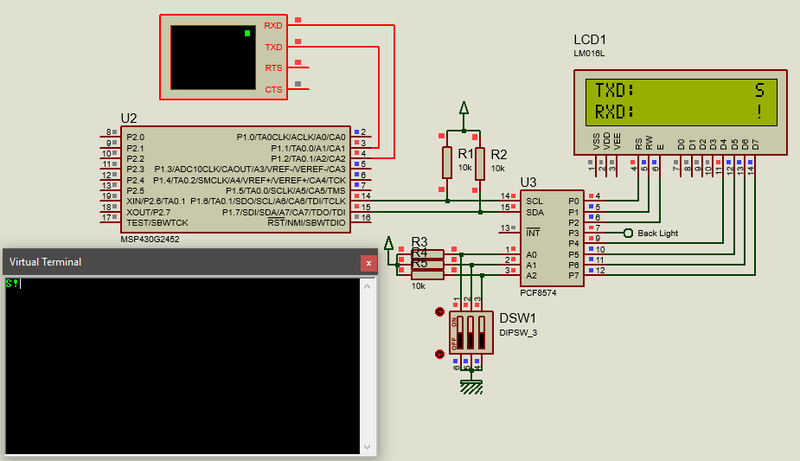 Software UART is not as reliable as hardware UART and so it is better to use low baud rates. It is even better if it can be skipped. However, when there is no other option or when there is a need for additional UART, it must be used. The UART transmit and receive functions are written using polling methods. 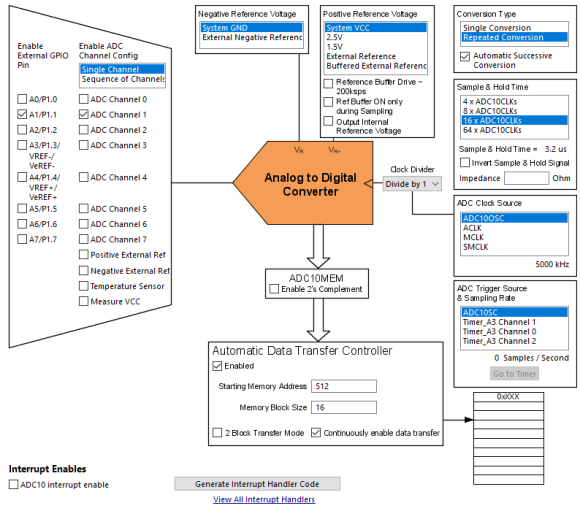 External digital I/O interrupt can be used for receiving data. These functions are created just by studying the signal patterns and using the same tactics as with other software communication libraries. The trick is to emulate/receive the signals as a real hardware would do. 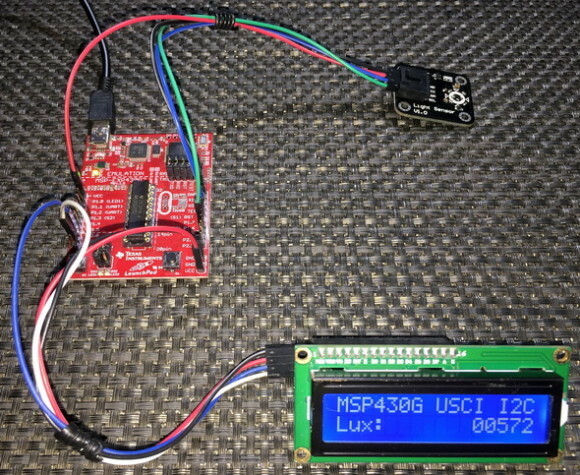 We have already seen that MSP430’s USI module can be used to implement both I2C and SPI communication platforms. However, there will be times we will have to use USCI modules. USCI is a bit complicated and is a bit difficult to use in simple terms. Here in this article, however, I kept things simple and projected ways to use this module simply. 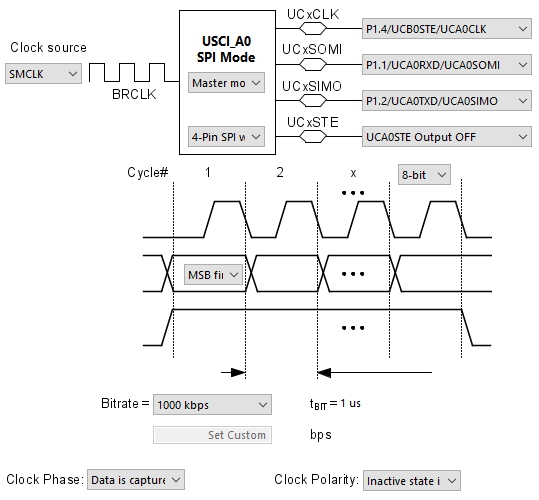 Four examples of USCI module in I2C and SPI modes will be presented in this article. 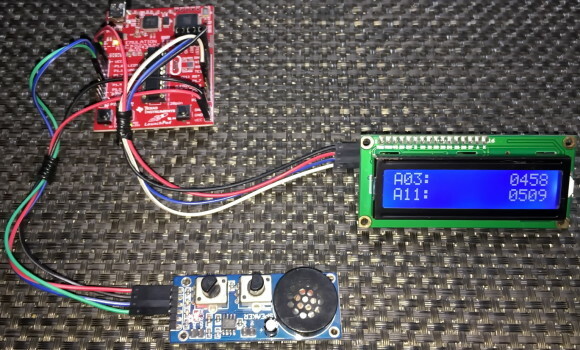 The first one will demo how to interface a MSP430 device with a MPL115A1 atmospheric pressure sensor in a full-duplex SPI bus. 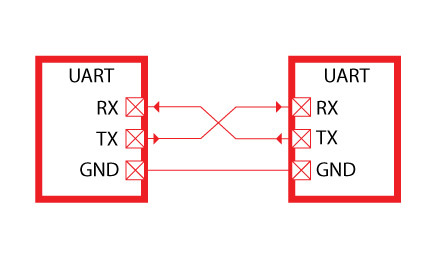 Full-duplex SPI bus is needed the most when interfacing sensors, RTCs, SPI-based memory chips, SD cards, etc. The model for MPL115A1 is not available in Proteus VSM and so it cannot be simulated. Only the pinouts are shown in the schematic below. HW_SPI.h and HW_SPI.c files describe the functionality of USCI-SPI hardware. These settings describe which pins are being used, their purposes, communication speed, SPI mode, clock polarity and so on. Note the slave select pin is not shown here as we have used a different pin for that purpose. SPI_read, SPI_write and SPI_transfer functions do their jobs as per their namings. 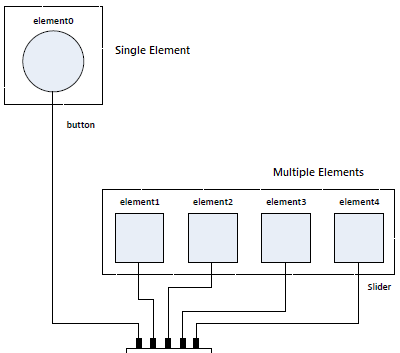 The SPI read and write processes are simplest to understand. Before starting communication, respective data transaction interrupt flags are polled. Note that these flags are needed even if we don’t use USCI interrupts. 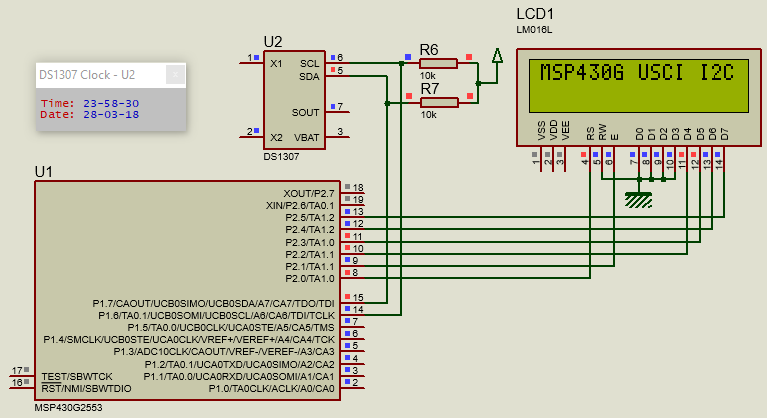 Once polled okay, data is sent from MSP430 device in SPI write mode or received while in read mode. 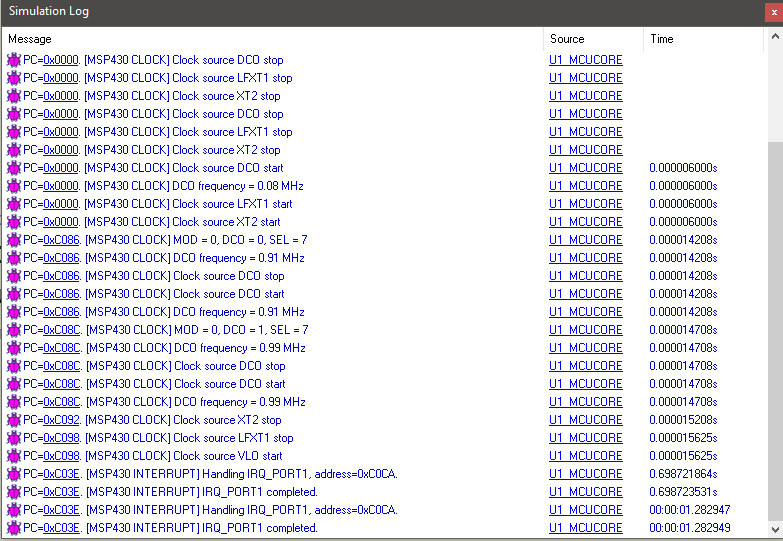 Then we have to check if data has been fully received/transmitted by asserting the USCI busy flag. 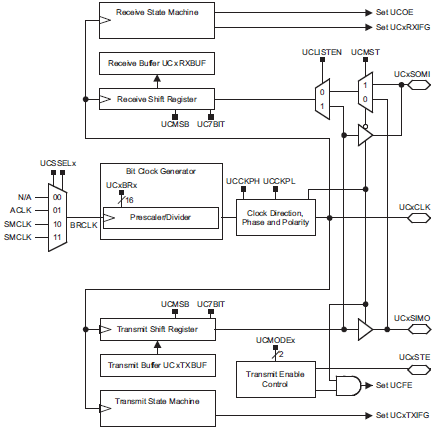 Lastly the USCI SPI transfer function is a mixture of both SPI read and write functions. 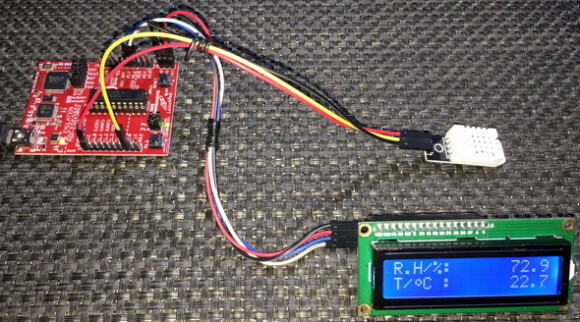 The code here is used to read a MPL115A1 barometric pressure sensor and display atmospheric pressure-temperature data. MPL115A1 uses full-duplex SPI communication medium to communicate with its host device and here MSP430’s USCI_A0 in SPI mode is employed to achieved that. SPI is perhaps best known for the communication speed it offers. This raw communication speed is most needed when we need to interface external memories and smart displays like TFT displays and OLED displays. 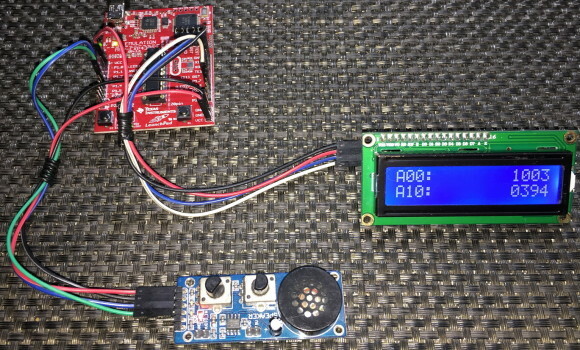 Here, we will see how to interface a SSD1306 OLED display with MSP430 using half-duplex or unidirectional USCI-based SPI communication bus. The model for SPI-based SSD1306 OLED display is not available in Proteus VSM and so it cannot be simulated. 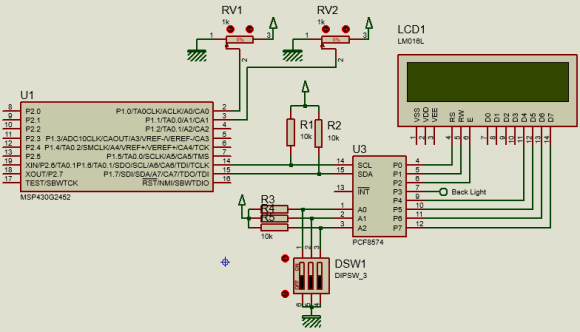 Only the pinouts are shown in the schematic below. The code here basically uses the same functions as in the previous example except for the fact that USCI_B0 is used in half-duplex mode here. 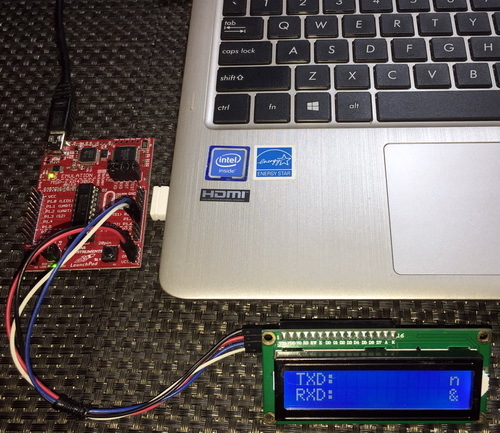 The rest of the code is the driver implementation for SSD1306 OLED display. Note that the driver has been cut short of graphical functions due to low memory capacity of Value-Line Devices. 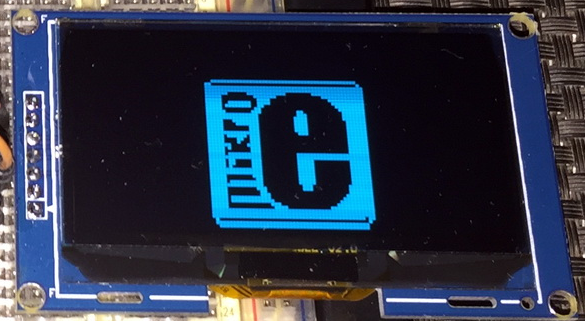 Explaining the operation of the OLED display is beyond the scope of this article. 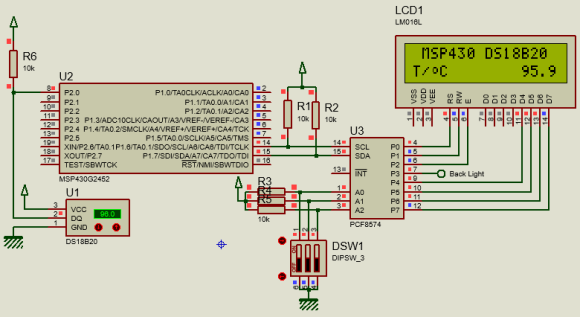 Using USCI in I2C mode is a bit difficult compared to using USCI in SPI mode. 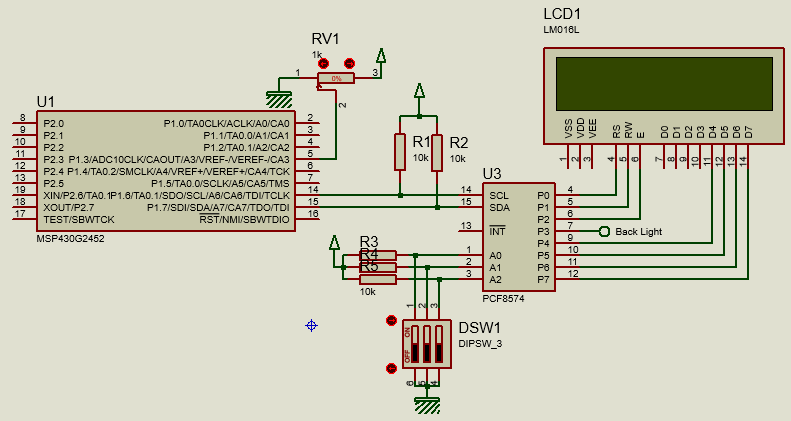 This is because of the many iterations and function calls in I2C mode. Again, here I tried to keep things simple and kept things in a fashion we would normally expect. 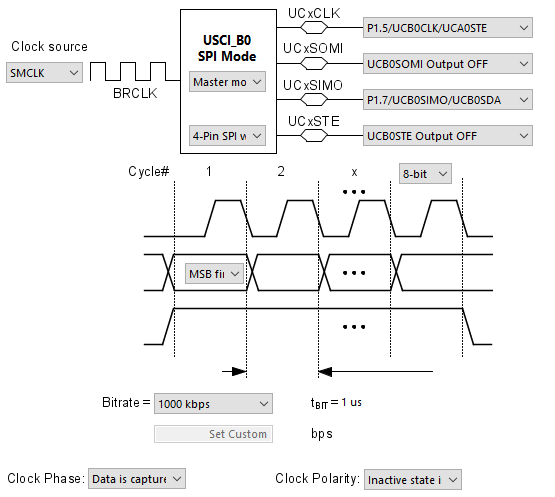 USCI-based I2C can be realized with a state-of-machine too but that way is not easy for beginners. The model for BH1750FVI is not available in Proteus VSM and so it cannot be simulated. Only the pinouts are shown in the schematic below. Just like USCI SPI setup, Grace is used for setting the basic parameters for USCI I2C communication. 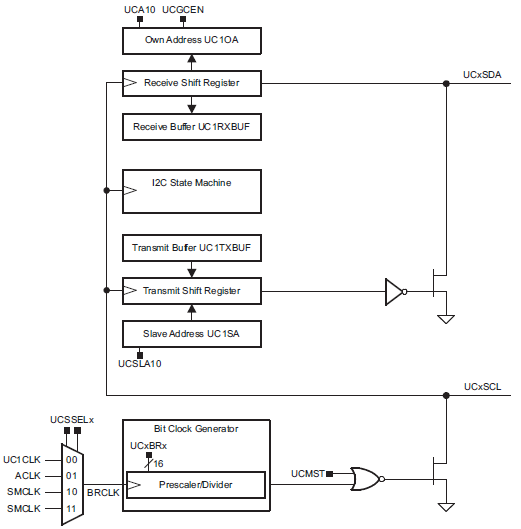 Note only USCI_B0 supports I2C communication unlike USCI SPI communication. 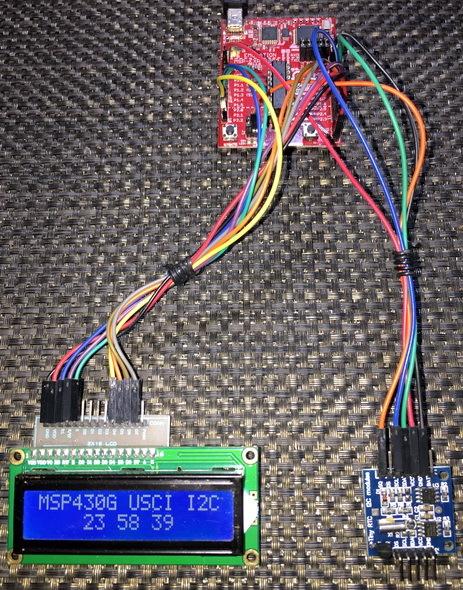 Since our MSP430 micro is the master device in the I2C bus, USCI module is configured as I2C master. 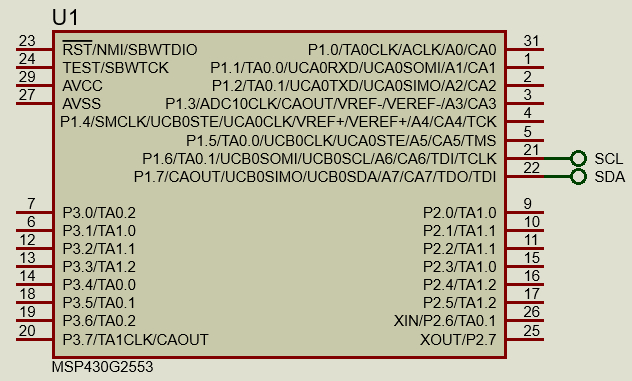 One particular thing to observe is the I2C Slave Address. Here as shown in the screenshot below, it is 208. This is not an important figure. Same goes for the I2C Own Address part. No interrupts are to be used and so none of them are enabled. Out of the configuration set by Grace, I2C pins are set also in the I2C initialization function. This should be done manually before initializing the USCI hardware. Their names suggest their functionality. The codes inside them are arranged as such that they take care of start-stop conditions generation, clock generation, etc. I2C communication needs device address along side read-write info. 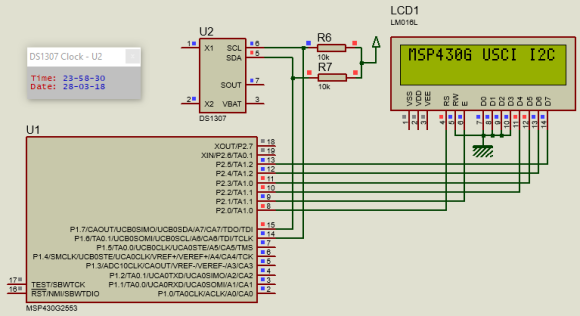 Based on read-write info, the host device writes or read I2C bus. The drawback of using I2C with these functions is the vulnerability to falling inside a loop since loops are used in these functions widely. This setback can be overcome with timeouts. 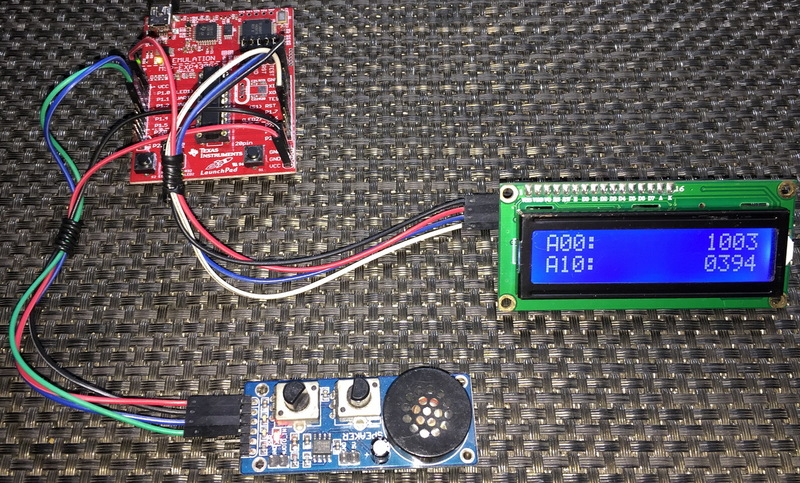 This part shows another example of I2C implementation using MSP430’s USCI hardware. 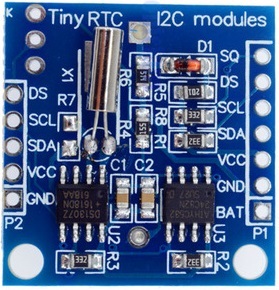 This time the I2C device that is connected with a MSP430 is the popular DS1307 real time clock (RTC). This is the last USCI hardware example. DS1307 simulation encountered some weird issues but it does work. Since it uses the same ideas as in the previous example, there is hardly a thing to explain here. The concept of Direct Memory Access (DMA) or Data Transfer Controller (DTC) is usually found in 32-bit ARM-Cortex-based micros and in some highly advanced DSP microcontrollers. In recent times, a few new generation 8-bit and 16-bit devices have emerged with DMA hardware feature. The DMA hardware may look a bit complicated for those who are new to it but it is practically very simple. Just consider what you have been doing all these times without DMA. Consider an ADC for an example. Without DMA, the ADC senses its channel(s) and saves sensed data on an ADC result register waiting to be read and continue the same operation over and over again. This process involves the CPU very often as sensing/extracting analog data, storing it and starting ADC conversion all needs CPU’s attention. Thus, the CPU bus is always busy with these engagements. With DMA the process becomes more automatic and intelligent. The DMA controller automatically transfers AD conversion data to specified memory location(s) using its separate data bus. In the whole process the CPU is not involved much. Conversions take place and the conversion results are immediately transferred. Thus, the process becomes both autonomous and fast. Please note that the DMA bus is only available for ADC to memory or in other words peripheral to memory transfers. It cannot be used for other peripherals like USCI, USI, etc. or for memory-memory transfers. However, it is not a big issue for now. The block size indicates that number of locations that we will need to store ADC10 data. MSP430s are 16-bit microcontrollers and since ADC10 gives 10-bit data, we need sixteen word-sized (16-bit) locations to store sixteen ADC samples. These 16 samples are to be averaged. Grace generates the initialization code but the above lines must be edited by the coder. In the main function, ADC10 is commanded to begin and store conversions. Once all sixteen ADC10 data are captured, they are summed up and averaged. The averaged data is shown on a LCD screen. 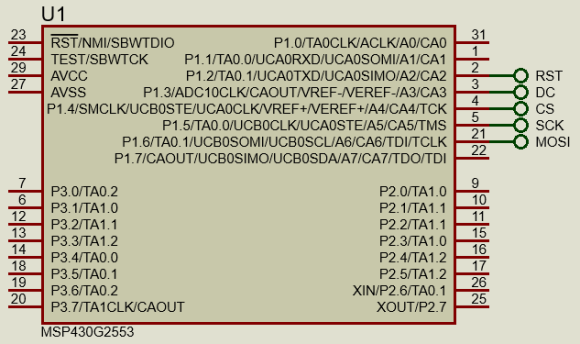 Note that ADC10 interrupt is not used and not anywhere in the code the ADC10MEM register is directly read. The ADC is read and processed by the DMA, freeing up the CPU for other tasks. The process is repetitive, automomous and continuous. 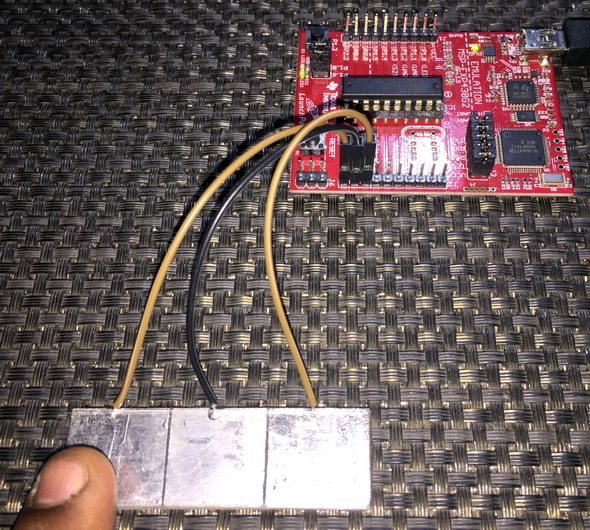 We have seen in the last segment that how we can compute the average value of an ADC10 channel without involving the CPU much and using the MSP430’s DMA/DTC controller. 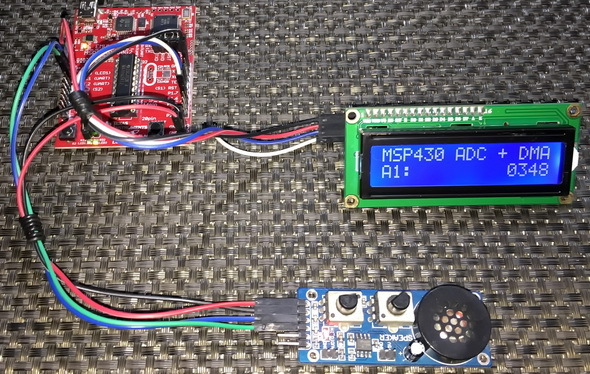 The DTC of MSP430s can be used in many innovative ways. One such way is to sense multiple channels in a row. 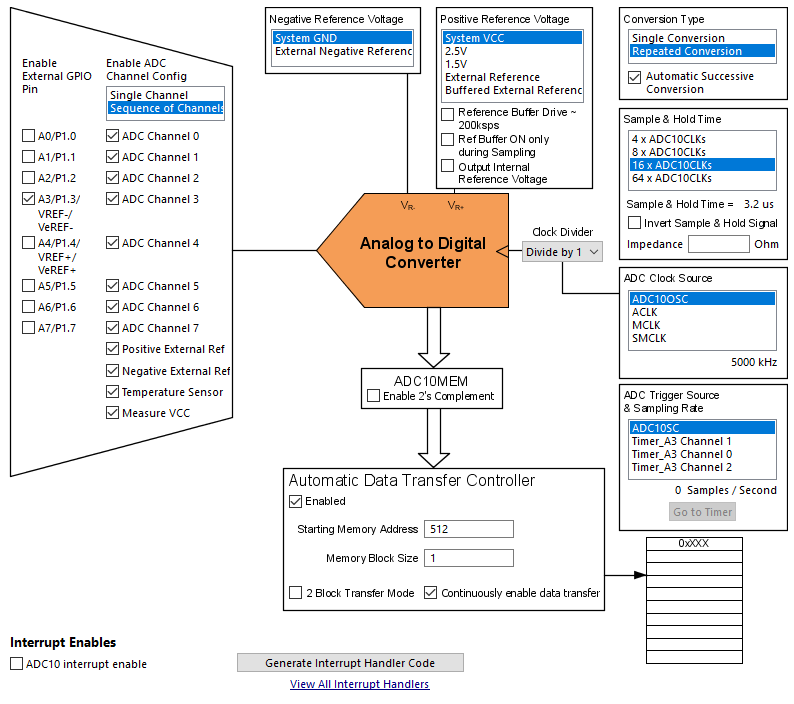 In this method, the ADC is basically scanned in an orderly fashion from the coder-specified topmost channel to the bottommost (channel 0), saving the result of each ADC channel conversion in separate memory locations. Scanning a sequence of AD channels in this way has many potential applications. Consider the case of a solar charger controller. 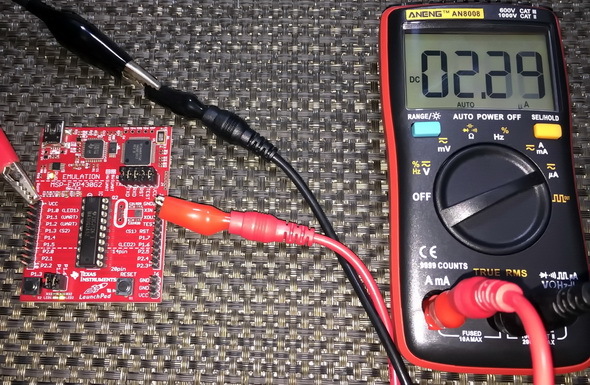 With one command you get both the input and output voltages, and currents quickly from your MSP430 micro. 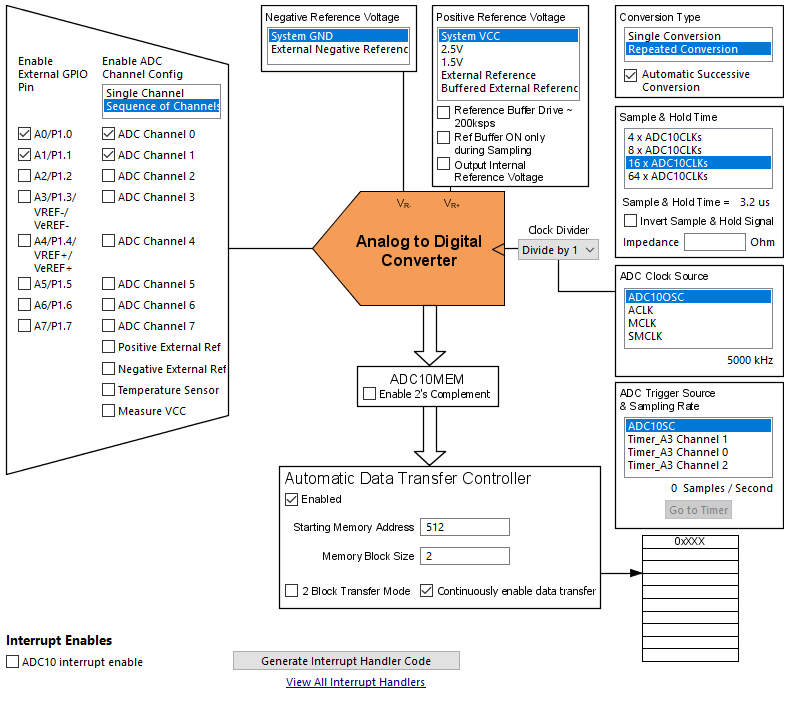 DMA-assisted ADC scanning is perhaps the most efficient and simple way to sense multiple ADC channels quickly. Except some minor differences, the Grace setup here is same as the one used in the DMA example. The first difference is the Sequence of Channels selection, second is the number of ADC channels and finally the size of memory block. In the main, most of the things are same as in the DMA example. Since two channels are read, two memory locations store individual ADC data. Scanning starts from topmost channel to the bottommost and so the bottommost memory location will hold the data of the topmost channel and vice versa. In short, the memory locations are flipped with respect to ADC channels. Due to several obligations and design constraints, we may often fall in situations where we would not be able to enjoy the sequential DTC-assisted ADC scanning feature demonstrated in the previous section. ADC channels may not be in an orderly sequence. Still we can apply similar techniques as in ADC scanning but certain things are needed to be kept in mind in such cases. In the last example, the ADC channels that were scanned were in an order. Here, however, the story is different but the concept is the same. Note that all channels are enabled since the topmost channel we have measured here is the Measure VCC channel but intentionally the memory block size is set 1 instead of 12 and only one external channel is enabled. Well, there are some proof-of-concepts to show. The first proof-of-concept is the fact that since we have to set memory block size and memory pointer on our own in the initialization code, it doesn’t matter what these values are in Grace. Secondly, only external channel A3 is sensed since its external I/O is enabled. The rest of the external channels are ignored. This is why A0 reads floating values when the code runs because its external I/O to ADC is disconnected and furthermore it is used to blink the onboard Launchpad LED connected with it. Channel A10 (internal temperature sensor) and A11 (internal VCC sensor) are internal channels and so are not dependent on external I/Os. These channels read as they should. Despite scanning all channels, we can decide which ones we need. Here I demoed sensing channels A0, A3, A10 and A11. Note that these channels are out of a regular or orderly sequence, hence the name of the topic Sensing Multiple Out-of-Sequence ADC10 Channels with DMA. Capacitive touch sensing technology is nothing new at present. Cell phones, smartwatches, tablets, portable music players, and even many home appliances that you can name no longer have mechanical touch keys/switches/buttons/variables. All such switching elements have been replaced by more smart and elegant capacitive touch sensors. At present due to this trend even the tiniest new generation microcontroller has capacitive touch sensing capability. When it comes to TI micros, this trend seems to explode to a whole new level. I haven’t seen so far, any TI MCU without capacitive touch feature. Almost all digital I/Os can be used for capacitive touch as there is no specific dedicated I/Os for such implementations. This makes capacitive touch sensing easy in terms of hardware design. Designing capacitive touch sensors is another story. 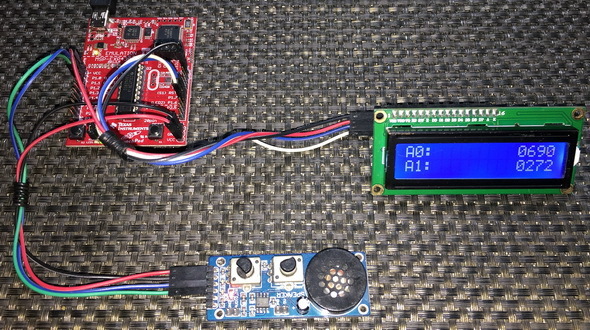 In MSP430s, capacitive touch sensing requires two separate timers. These timers create independent time bases and these time bases are compared against each other. One of these time bases is fixed while the other is dependent of the value of touch sensor’s capacitance. When a touch is detected, capacitance changes. This creates a significant difference between the time bases which otherwise remains fairly constant. This is how a touch is detected. This is also a mean to measure capacitance other than touch sensing. For making all these tasks simple and for rapid development, TI has provided a dedicated Hardware Abstraction Layer (HAL) library for capacitive touch sensing. Use TI’s Resource Explorer to download code examples and library files. Programmer’s Guide SLAA490D discusses implementation of capacitive touch sensing in terms of coding, hardware combinations and others. This page is also an equally important one. Apart from these, there are good literatures from TI that discuss tons of valuable info about capacitive touch sensing technology – from hardware designs to implementation methods. This method counts the number of relaxation oscillator cycles within a fixed period called gate time. Usually for the Value-Line Devices (VLD), the PinOsc feature is used in this method and the key thing to note here is the fact that no external components like external resistors or capacitors are needed to implement capacitive touch sensors. It is this method that we will be observing in this article as our target devices are VLDs. This method is just the opposite of RO method. In this method, the gate time is variable as it is the representation of capacitance while the oscillator time period is fixed. 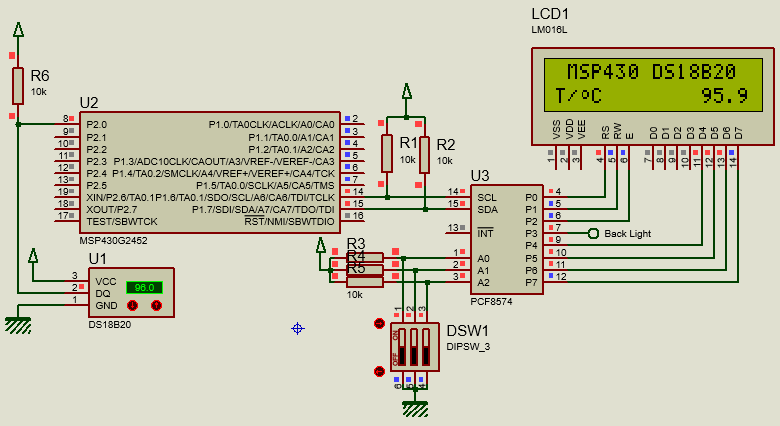 The fixed time base is connected to an internal MSP430 oscillator like the DCO. The variable time base is connected to a capacitor and resistor network. The time it takes to charge and discharge the capacitor through the resistor is now the gate time. The RC method can be realized with any MSP430. This method is similar to the RC method except that the variable gate period is created with a relaxation oscillator instead of the charge and discharge time. TI’s capacitive touch library documentation also recommends which hardware combination to use for a given family of MSP430 microcontroller. Though these are not mandatory, following these recommended combinations reduces code development time and best performances. 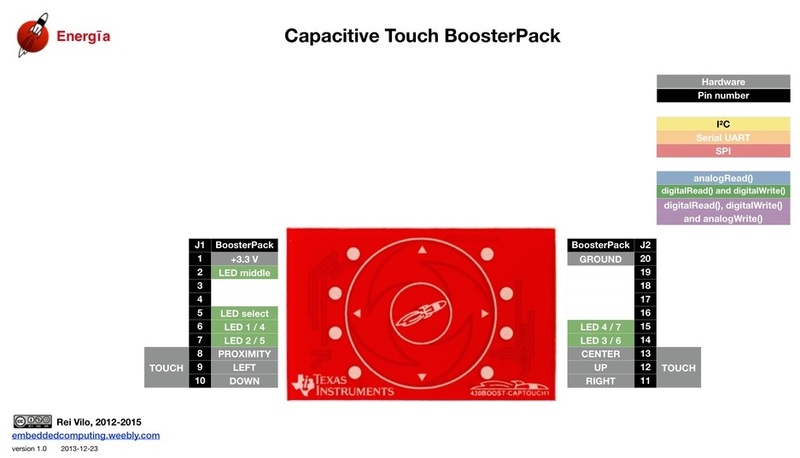 This is the very first capacitive touch example we will look at. Although a single capacitive touch button has very little use in real life, it is good for realizing the mechanism behind this capacitive touch technology. If this example is well understood then everything related to capacitive touch sensing will be realized without any confusion or doubt. // is used, then this definition should be removed to conserve RAM space. // allocated (global variable) for computations. // must be generated per the application. Capacitive touch sensing cannot be simulated in software like Proteus VSM. Of these files, the important files that are needed to be edited to set capacitive touch properties of capacitive touch sensor(s) are the structure header and source files. The rest two pairs of files should be left untouched. In the structure header file, external constant structure named middle_element defines I/O port(s) properties of capacitive sensor(s). Similarly, one_button defines timer/watchdog properties. These two external structures have other functions too. We will see these properties when will discuss the source file. Next, we have to define how many capacitive touch sensors are there in our design. Finally, we have to set which hardware combination to use. In our case, Timer0_A, watchdog timer and digital I/O’s PinOsc functionality are used to implement capacitive touch. The rest of the file is not needed to be changed anywhere. Now it is time to explain the structure source file. PxSEL and PxSEL2 bits internally set PinOsc feature. Since this example demonstrated one capacitive touch button only one element is connected to BIT4 of port P2. Optionally, we can set the threshold limit on which we can positively identify a touch. The second part of the source file details which method is used along with the name and number of element(s) to sense. Basically, here we have nothing to do other than to let this part know the structure name of our element(s) and the number of sensors. Two interrupts are needed to be called. The first is the Timer0_A ISR. This acts like a wakeup alarm. Once the capacitive sensing and other tasks in the main loop are completed, this timer is started and low power mode is entered. After timeout, this timer interrupts causing the main tasks to reoccur and leave low power mode momentarily. The second is a Trap ISR. Trap ISR ensures that if for some reason something happens that you didn’t expect it will reset the MCU. The interrupt vectors assigned here are those vectors which we won’t be using. If any of these pop-up, a reset will occur. The main function is perhaps the smallest one here. Except for the other parts with which by now we are familiar, there are a few new lines of code. Just before the main loop, the two lines of code right above it, initialize the capacitive touch sensor. Number 6 in the function TI_CAPT_Update_Baseline states the number of samples to capture for accurately sensing a touch. If a valid touch is detected, the LEDs of Launchpad board are toggled. Unlike single capacitive touch buttons, multiple capacitive sensors have several potential uses. These include multi-touch buttons, sliders, wheels, rotary encoders, etc. Here we will have a look at multiple capacitive touch buttons and the example demonstrated here is basically the extension of the last one. However, for multi-touch capacitive touch sensors, there are twists in the software end apart from hardware design and considerations. This example uses the same ideas as in the previous example. The header file is slightly modified. 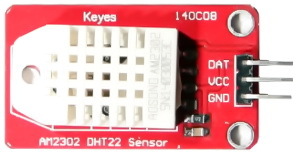 Three sensor elements are used and so the number of sensor is set 3. The elements are named differently since each are independent of the other. The main difference is present in the structure source file. The three different elements are declared independently despite being in the same port. This is so because we need to identify them when a touch is detected. Similarly, the sensor structure is also modified for these three elements. The main code is almost identical to the single sensor demo. However, the variable keyPressed is used to check which element was touched. According to touch on different element states of Launchpad board LEDs are altered. Up till now we have seen and used the power of Grace configuration tool, MSP430G2xxx devices and only mentioned the name Driver Library. At present for micros with too many hardware resources, it is really very difficult to go through their individual datasheet line-by-line and memorize register names and their purposes. However, we just need peripheral initialization once in a code and it should not take much of a project’s development time. Likewise, when moving from one micro sub family to another or just interchanging devices within a given family, there should be some similarity in coding and hardware or else it be really very much difficult to keep track of everything. To overcome such issues and many others, mainstream embedded system solution manufacturers like TI offer different code development solutions ranging from graphical tools like Grace to code examples/templates as in TI’s Resource Explorer. 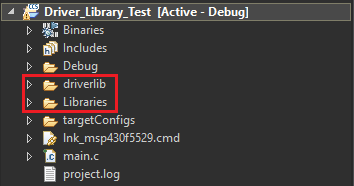 The Peripheral Driver Library or simply DriverLib is one solution that somewhat resides between aforementioned two. 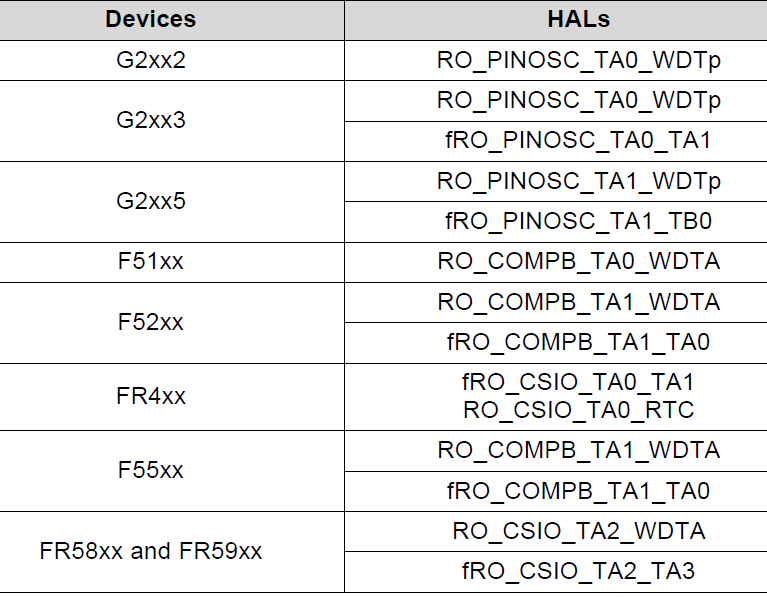 It is a set of drivers for accessing the peripherals found on MSP430 micros and is similar to HAL libraries used for ARM micros. So far, we have not used this library pack as it doesn’t support VLDs. Details of TI’s driver library can be found here. Please have it downloaded as we will need it for the demo. 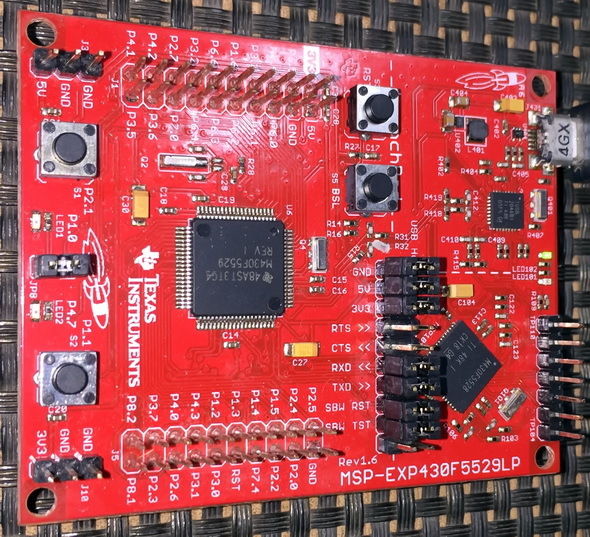 As mentioned before, there are other more resourceful and powerful MSP430s and the driver library is intended for such robust devices. 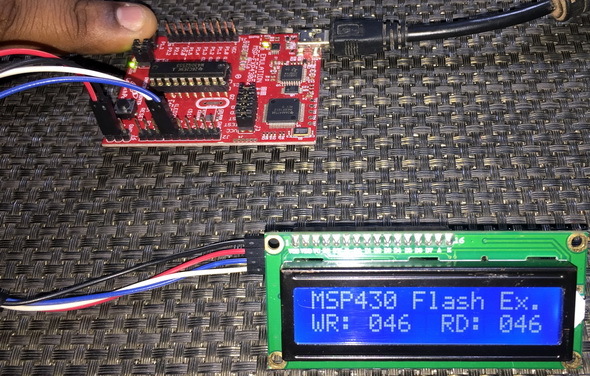 MSP430F5529LP is one such powerful device. It is a microcontroller mainly intended for USB application development and has 128kB of flash and 8kB RAM. There is an inexpensive Launchpad board dedicated for this awesome micro and it delivers the punch needed in complex big projects. Details of this Launchpad board can be found here. 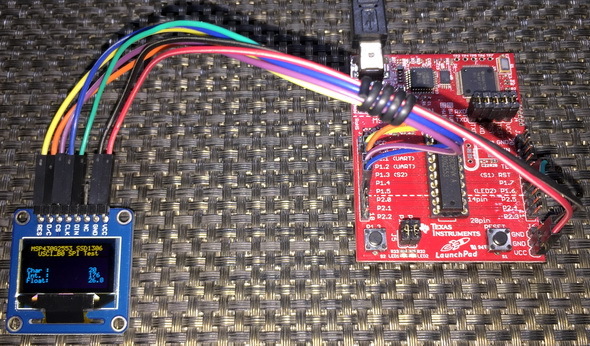 In this final section, we will briefly see the potential of combining TI’s Driver Library with MSP430F5529LP. 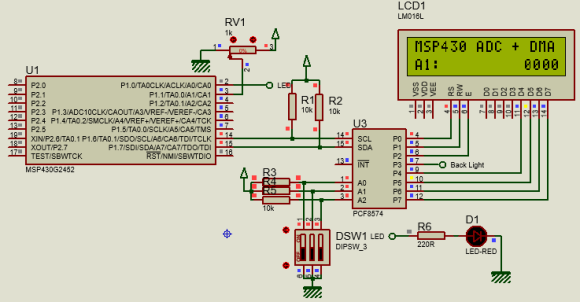 Google and download the Energia pinmap for MSP430F5529LP. 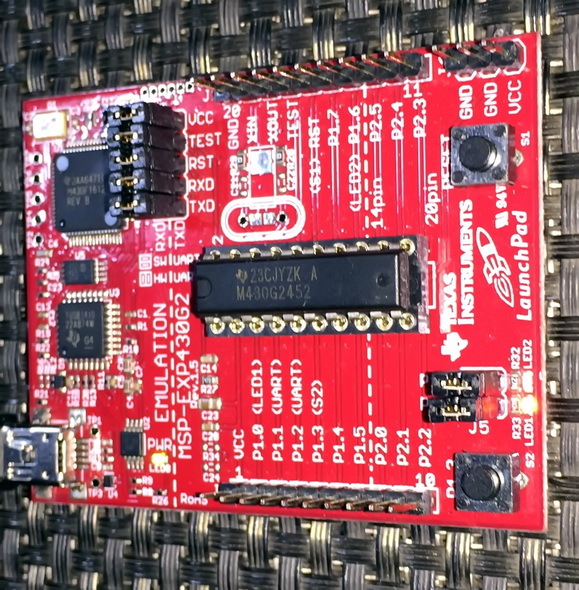 I assume that by now you have downloaded the latest version of DriverLib and other documentations regarding this and the MSP430F5529LP Launchpad board. Extract the DriverLib zip file and copy the correct DriverLib folder (MSP430F5xx_6xx folder in our case) to your project folder. In my case, I copied this folder and renamed it as driverlib. The process is same as what we did for our own-built library files. 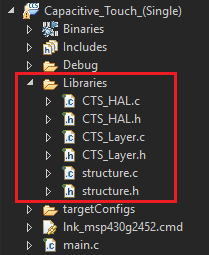 Let the compiler know the physical paths of this folder just like the custom library files. Rest of the works is same as before. To keep things simple, I demoed another LED blinking code. Notice that with inclusion of driverlib, everything has changed with meaningful functions. Take the setting of watchdog timer as an example. Two pins P1_0 and P4_7 are set as outputs with full drive strength since these pins have LEDs connected with them. P2_1 is set as an input with pull-up as it is connected with an onboard push button. Some pins of P5 are set for peripheral modules because these pins are connected with external crystals. In the main loop, the Launchpad’s green LED (P4_7) is toggled at a given flash rate. When the onboard user push button (P2_1) is pressed, the onboard red LED (P1_0) is briefly turned on and the rate of green LED’s flashing is altered. All code examples and this documentation is available for download from here. ** Some images have been taken from the documents and webpages of Texas Instruments (TI) and Mikroelektronika. Just awesome again!! Thank you very much for the time you have put aside to write these articles and share it with newcomers like me. Thank you so much for making it available in pdf format and providing us with the code examples. It is great to work with real life, practical applications. Start to be interested in TI MSP430s I have found your articles … amazing source of information, thank you very much.